Height: 5.28 inches (13.4 cm). Width: 5.28 inches (13.4 cm). epth: 1.63 inches (4.1 cm). Weight: 13.1 ounces (372 grams). Safety shouldn't be annoying. 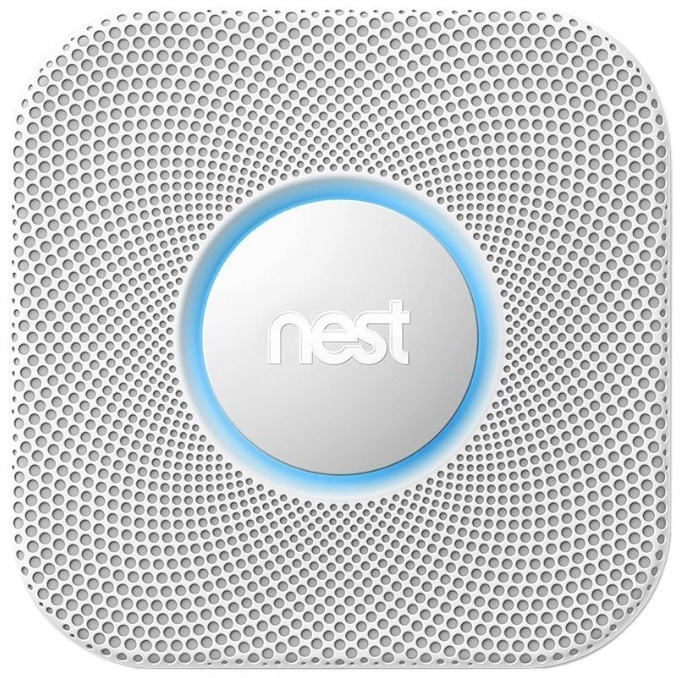 The Nest Protect smoke and carbon monoxide (CO) alarm quiets down when you wave - no more swinging towels or brooms - and sends a message to your phone if the alarm goes off or the batteries run low. Instead of just chirping and howling at you, Nest Protect speaks with a human voice. 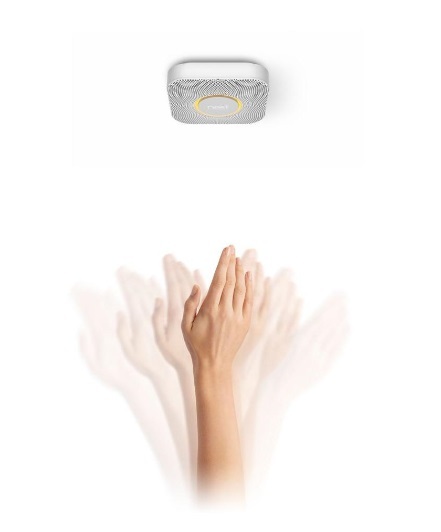 It gives you a friendly Heads-Up before burning toast turns into an emergency, and tells you which room the smoke or CO is. Low-battery chirps ever rattle your dreams? Nightly Promise shows you its sensors & batteries are working before you doze off. Nest wave: no more swinging brooms or towels, silence alerts with a wave of your hand. Heads-up: get a friendly alert so you can handle burning toast before a piercing alarm goes off. Know from anywhere: sends a message to your phone if the alarm goes off or if batteries run low. 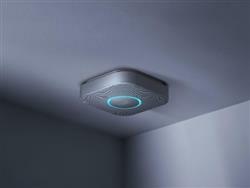 Nightly promise: nest protect tests its sensors and batteries and lets you know it's working with a quick green glow at night. Silence the chirp: low-battery chirps ever rattle your dreams, nest protect shows you its batteries are good, before you doze off. Safe for kids: children can sleep through alarms, so in addition to alarm sounds, nest protect uses voice alarms to wake kids up and help them avoid danger. Replacement batteries (Energizer® Ultimate Lithium “L91” AA) available for purchase at your local retailer. 6 AA Energizer Ultimate Lithium batteries. Long-life batteries designed for multi-year operation. Green: Mercury-free. PVC free. Recyclable packaging. / Operating: This alarm should not be installed in locations where the normal ambient temperature is below 4°C (40°F) or exceeds 38°C (100°F). Humidity Range: 20%RH to 80%RH (non condensing). Languages available out-of-the-box: English, Spanish. Photoelectric smoke sensor. Carbon monoxide sensor. Heat sensor. Three activity sensors. Ambient light sensor. Humidity sensor. Speaker: 80dB @ 3ft (1 meter) @ 1kHz. Horn: 85 dB SPL at 10ft (3 meters). Wi-Fi connection. Smartphone or tablet with iOS 5 or later, or Android 2.2+ or later. 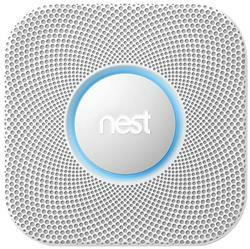 Free Nest Account. Working Wi-Fi connection: 802.11 - 2.4 GHz. Wireless Interconnect: 802.15.4 - 2.4 GHz.